The decision of the Referee Panel of the European Museum Forum to the Museum in Prijepolje, in competition with 59 European museums, the Museum of the Russian Federation and the Republic of Turkey, the Special Prize award is a significant event and a great tribute not only to the Museum in Prijepolje and Serbian and Museology, but for Serbian culture in general. 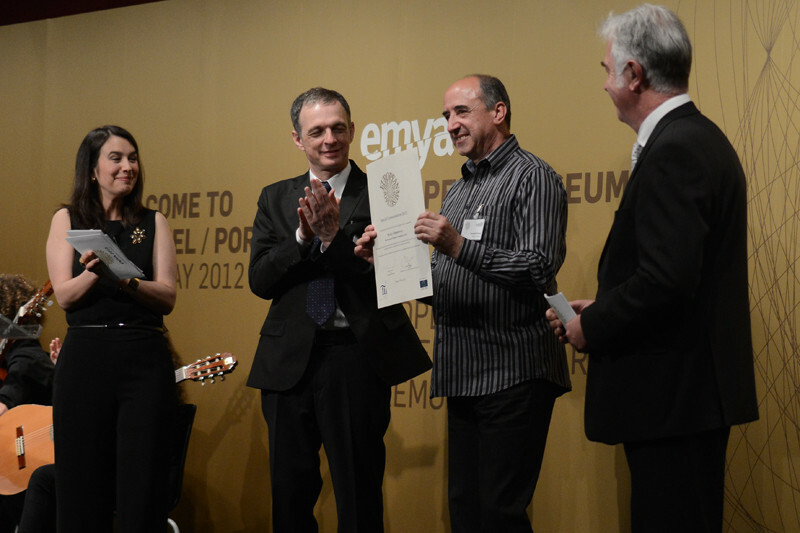 In the competition of the European Museum Forum and the Council of Europe in 2012, the largest museum award, not only in Europe but also in the world competed 59 European museums, including the Russian and Turkish museums. For the first time in the history of Serbian museology and the wider Balkans region, Museum in Prijepolje competed for the big prize. Strict conditions of the competition demanded the implementation of major national projects, projects that are important for European museology with significant references, which are represented fulfillment of the requirement for a comprehensive tender documents. A judge's panel of experts from European museums, from large number of museums, which are applied, nominated 59 museums, including the Museum in Prijepolje. Significant national projects of the Museum in which it is financed by the Ministry of Culture of the Republic of Serbia, emphasizes not only cultural, but also the general public, both in Serbia and in the region. Museum in Prijepolje, not only realized projects, achieved overall social role in the complicated and burdened with a multi-ethnic area in which it operates, has managed to establish cooperation with national museums in the region, paving the way for cooperation in spite of unfavorable political situation, which has made it difficult. The fact is that the Museum in Prijepolje is the first Serbian museum, which is since 1977, when they established this important award, not only for Europe but for the world, competed and won this important and great recognition. What was decided is that in very adverse circumstances, in which more than 90 years is Serbian Museology, Museum in Prijepolje in the competition of 59 European museums fulfill the strict criteria of the competition and more stringent requirements Referee Panel. 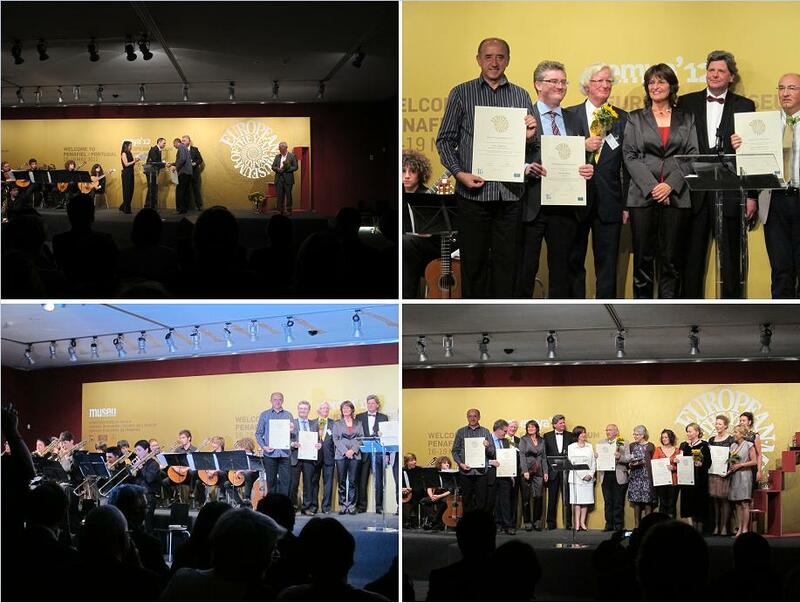 Assigning Awards were held on May 19, 2012 in Penafiel in Portugal, in the presence of eminent personalities from the fields of culture, not only Europe, but also beyond. During the seven days, according to the protocol, all 59 museums were presented, not just to panel of judges, but also a large number of attendees. The last, the seventh day of refereeing panel in a festive atmosphere, with great presence of the media declared the laureate. Museum in received a special award for the implemented national projects, as well as all other projects that are over 20 years this institution ranked in major museum institutions of the Republic of Serbia. The most important projects, programs, exhibitions join a number of art exhibitions, concerts, multimedia programs, promotions and other literary works, cross-border cooperation with institutions of protection, participation in scientific conferences in Europe, the region and the country. 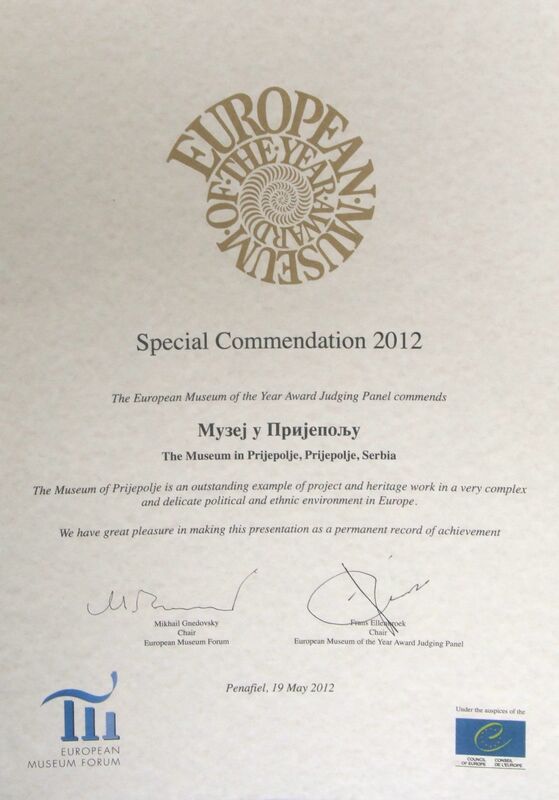 All of the above was tested and determined by the Referee Panel of the European Museum Forum, which is especially appreciating the weight, condition and specific projects decided on the allocation of Special Commendation 2012 The Museum of Prijepolje, Serbia, Porto, Portugal 16-19. may 2012.